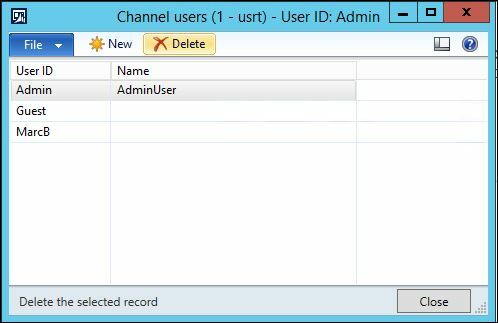 The release of AX 2012 R3 added a new Call Center module which utilizes Channel Users. These users are set up in the Call Center Channel in the Retail module (Retail >> Common >> Retail channels >> Call centers). The purpose of these specified users is to enable certain feature sets within the sales orders form that enable functionality such as ordering from catalogs and extending customer payment options. If a user is not listed in the Channel User list, they can still access the Call Center module, but the additional sales order functionality will not be available when creating new sales orders. It is important to note that a non-channel user can access a sales order created by a channel user and be able to see those extra options. Whether or not the extra call center functionality exists depend on the user creating the sales order. The channel user list is a simple list comprised of users who would have access to certain call center features (discussed in the next section below) on the sales order form. If a user is on this list, and when they create a sales order from any module, they will receive the extra functionality associated to the Call Center Channel. 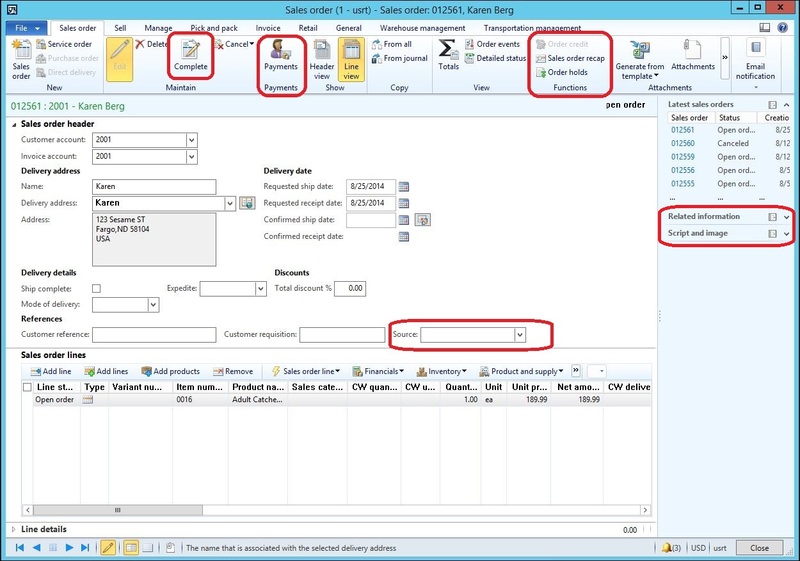 There are 3 options in the Call Center form that enable the feature sets in the Sales Order form. Each one of these is described below and can also be found in the TechNet article linked below. ◦ The payment process – Multiple payment buttons in the Sales order form are enabled when the Enable order completion check box is selected. ◦ The Complete button – This button controls access to the Sales order summary form, where the user can enter payment and submit the order. If the Enable order completion check box is not selected, users can create and save orders, but cannot complete them. 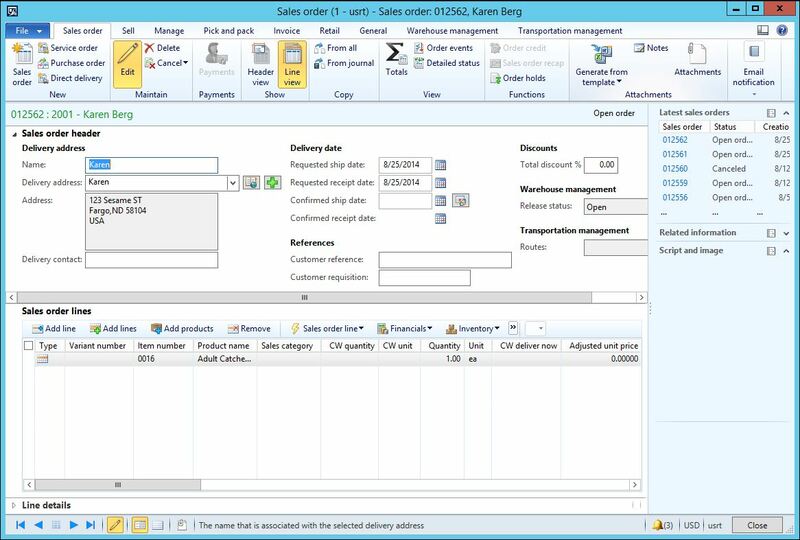 ◦ The Recap button – This button controls access to the Sales order summary form, where the user can review the order, and optionally enter payment and submit the order. ◦ The Coupons button – Coupon calculation requires that the order be completed. Here is a view of the Call Center form with the 3 Call Center options marked that will enable these features.